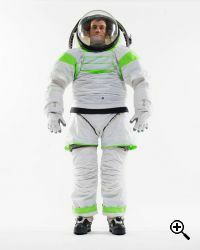 In two years, NASA hopes to introduce a new line of spacesuits that will replace the 30-plus years old existing spacesuit, which has been used on the space shuttle and is currently in use on the international space station. During the 1980’s researchers at the NASA Ames Research Center developed the prototype AX-5 high pressure, zero-prebreathe hard space suit. The suit achieved mobility through a constant volume, using a hard metal and composite rigid exoskeleton design. 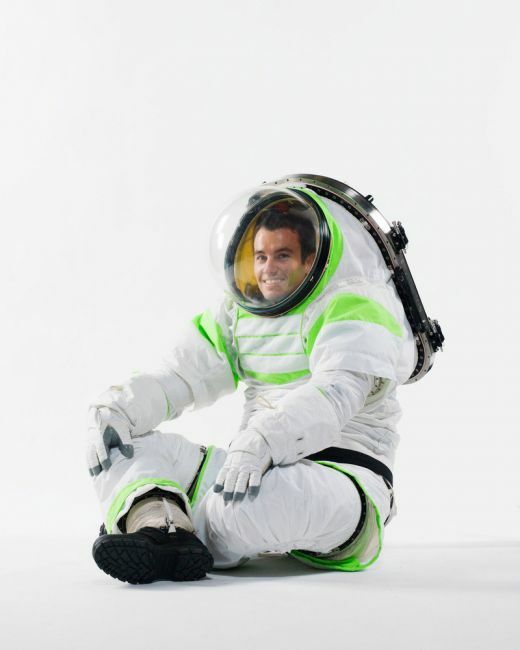 However hard suits required additional internal padding for astronauts in order to reduce the risk of injury due to contact with the hard interior of the suits which were not very comfortable to use. 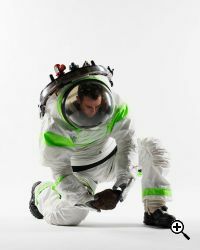 NASA decided to develop a hybrid spacesuit and went another way with the existing Extravehicular Mobility Unit (EMU) spacesuit, which has been in use since 1982. – It potentially eliminates the need for a dedicated airlock on a spaceship or a space vehicle (making them smaller and simpler to build and get into orbit. – It makes it simpler for an astronaut to climb in and out of a space suit (a complex task with the current Extravehicular Mobility Units. – It also more or less the problem of bringing lunar dust into the spaceship. The dust contains lots of sharp glass particles, such as volcanic dust, which can do a lot of damage to equipment and even puncture the lungs if inhaled. The concept of a rear hatch is actually not entirely new. The Russian Orlan spacesuit used since 1977 has a rear hatch pretty similar to the Z-1 design. Another interesting innovation is the bubble helmet which allows for a wide field of view (much more than existing spacesuit. The Z-1 also has a completely new life-support system. The Portable Life-Support System (PLSS as it is known) removes carbon dioxide will be continuously from breathing air, thus eliminating the need for canisters of CO2-absorbing lithium hydroxide. There are many other improvements such as newly-designed shoulder joints, that have greater mobility and many other changes, but probably the most basic difference between the Z-1 and the existing Extravehicular Mobility Unit is going to be where it could be used. While the EMU has very poor surface walking capability, the Z-1 is being designed with both Extravehicular capability and surface walking capability in mind. This is done as part of NASA’s forward looking initiative, which in the future could include manned missions to the moon, the asteroids and eventually Mars. 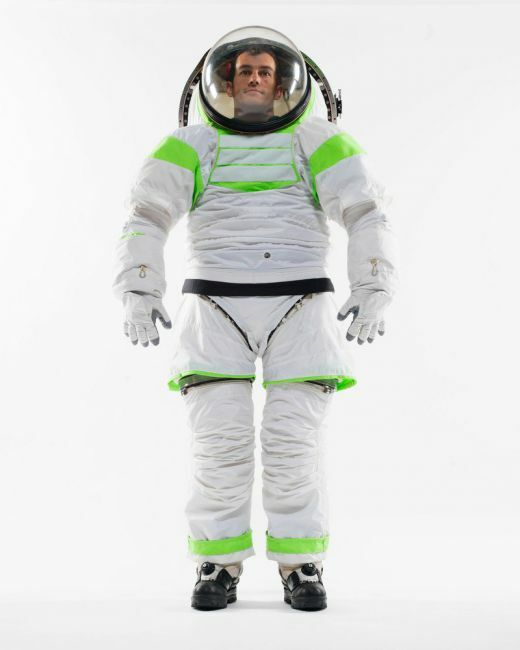 Z-1 is only a prototype spacesuit and will not be used in space. However, NASA has been testing it on earth in preparation for more advanced models that will come in the next few years with the aim of having the first next gen space suit ready by 2015.